All three Ugandan institutions garnered 19 gold medals but Ndejje came through with a better overall medal count of 57 with Kampala international university having 41 while Kampala University had 37. 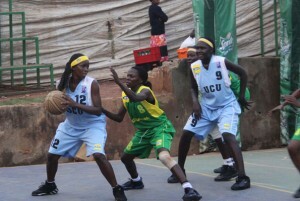 Ndejje University from Luweero District Uganda has ably defended its East Africa universities crown that it won in Kenya 2010 after seeing off a strong challenge from compatriots, Kampala International University and Kampala University that finished second and third respectively at the games played in the coastal town of Dar-es-salaam, Tanzania. 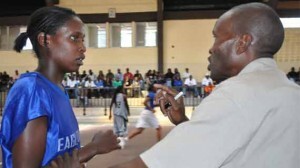 Ndejje also won gold medals in badminton, the ladies volleyball crown and others from the pool and martial arts. Ndejje will be grateful to its track and field team that collected an impregnable 11 gold medals. Paul Mark Kayongo sports tutor in Ndejje University advised his team to avoid complacency especially at the December 2013 Uganda inter-university games at UCU Mukono then at the East Africa university games that will be hosted by a yet to be named Ugandan University in 2014. “The close finish indicates that the universities have done some ground work, we need to stand warned”, a jovial Kayongo said amidst chants from the Ndejje contingent.